She Shall Be Called Woman: Kosher Casual... a must see! Kosher Casual... a must see! Little by little, I'm finding some GREAT modest clothing sites. I shared in an earlier post about a new site I had come across, but for you fashion conscious ladies, here is one you really can't miss that I'm very excited to tell you about! Fashionable modest clothing is no longer a thing of the past. The choices in modest clothing are endless, with outfits to match any occasion. If you work in an office, school or corporation and you want to project a positive, professional image, long skirts and a 3/4 sleeve shirt fit the bill. Today's modest clothing can be fun, stylish and totally with-it. You can find all kinds of layered tops, funky long skirts, long denim skirts, and 3/4 sleeve shirts that come in all materials and colors and run the gamut from cool to casual. 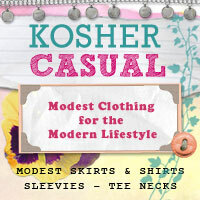 Kosher Casual takes modest clothing basics with a modern twist. The modest skirts are based on the current fashion styles with a reinterpretation with the modest clothing wearer in mind. 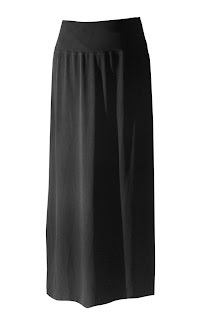 Our skirts are all knee-length or long skirts. 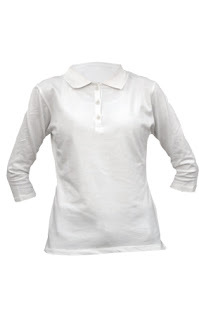 We offer modest shirts and layering tops in all the definitions – ¾ sleeve tops, long sleeve shirts, elbow length sleeves. We also have a great range of modest accessories to cover your cleavage or cover your elbows in both style and comfort. 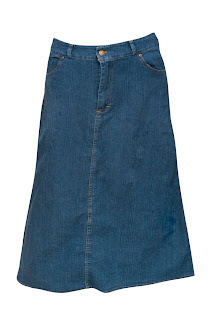 The item I got from Kosher Casual is an incredible soft denim skirt. 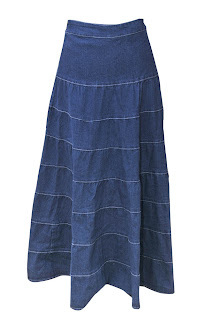 This skirt is what I have been looking for in a jean skirt. It's just the right length (for the coverage I like) but where I'm not tripping over it. 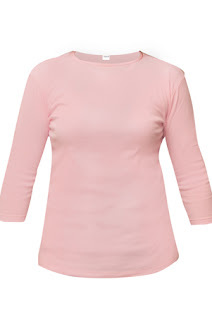 The fabric is soft with just a touch of stretchy to it which makes it extremely comfortable. It is also very lightweight and will work great for me during the summer months, but it isn't so light weight and stretchy that it clings...oh oh and another excellent thing about it is that no slip is needed. Throw a pair of leggings on for winter time and I'm set! I love all the pretty colors and simple lines this clothing line has. One of the other great new products they offer are Sleevies. 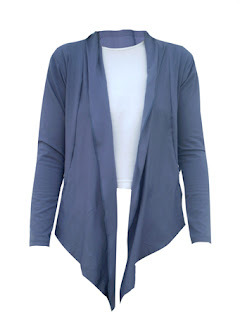 They are sleeve extensions that give you great versatility when added to your wardrobe. Many cute ways to mix and match too! All of us have different styles and tastes even when it comes to modesty and it seems that no matter what that is, Kosher Casual has something for everyone! look fantastic...especially with the extreme heat down here in Miss. Wearing double shirts for modesty is HOT during the summer months.